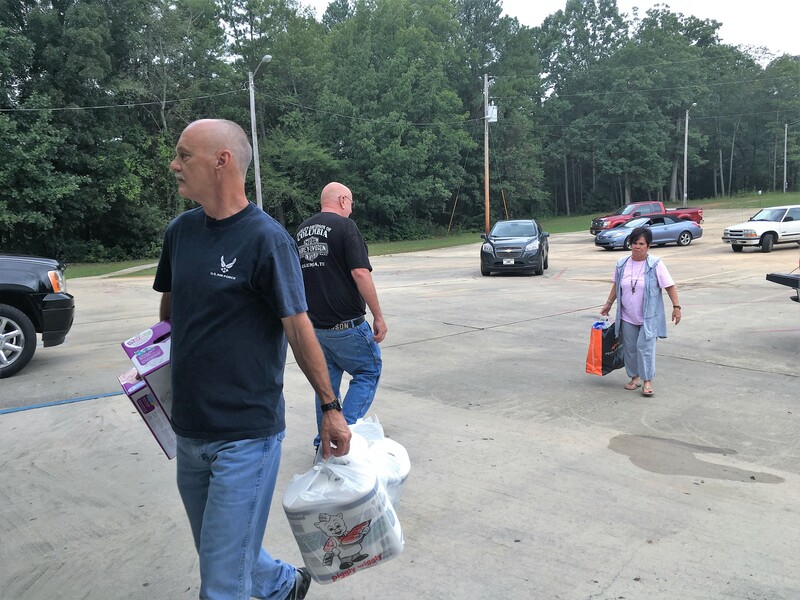 CULLMAN – When the Cullman Elks announced that they would start loading a trailer with supplies for flood victims in Texas, they knew the community would respond, but they did not realize how huge that response would be. Several other groups in the area have set up their own drives, and will be bringing their picked-up donations to the Lodge Hall at 1609 Brantley Ave. NW Friday morning, ahead of the truck’s planned departure that afternoon. Accompanying the R.E. Garrision tractor-trailer will be six to eight Elks volunteers to assist with efforts at the other end of the road in Beaumont, Texas, at an Elks Lodge Hall that is open as an evacuation shelter. The Elks announced that they will take donations up to 9 p.m., and will accept donations Friday from 8 a.m. until they leave in the afternoon. If you can’t get by to help with this project, check The Tribune website and Facebook page for other opportunities to give.